N 50° 27' 16" and E 30° 31' 25"
Safety Score: 2,9 of 5.0 based on data from 9 authorites. 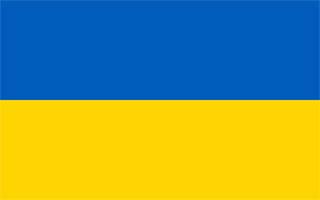 Meaning we advice caution when travelling to Ukraine. Kiev in Misto Kyyiv with it's 2,797,553 habitants is a town located in Ukraine. It's the capital of this country. Time in Kiev is now 10:26 PM (Monday). The local timezone is named Europe / Kiev with an UTC offset of 3 hours. We know of 7 airports closer to Kiev, of which one is a larger airport. The closest airport in Ukraine is Kiev Zhuliany International Airport in a distance of 5 mi (or 8 km), South-West. Besides the airports, there are other travel options available (check left side). There is one Unesco world heritage site nearby. It's Kiev: Saint-Sophia Cathedral and Related Monastic Buildings, Kiev-Pechersk Lavra in a distance of 0 mi (or 1 km), South-West. We saw 1 points of interest near this location. In need of a room? We compiled a list of available hotels close to the map centre further down the page. Since you are here already, you might want to pay a visit to some of the following locations: Vyshhorod, Brovary, Obukhiv, Boryspil and Borodyanka. To further explore this place, just scroll down and browse the available info. Let's start with some photos from the area. 2013 Rhythmic Worlds - Kiev, Ukraine - Individual Hoop and Ball Finals - We are Gymnastics! 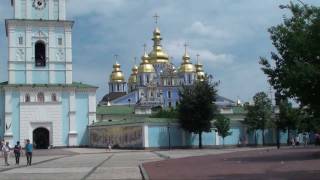 Kiev Ukraine #1 City of History - City Highlights! 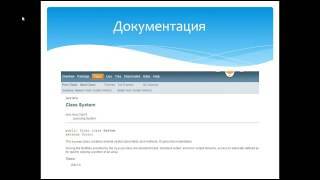 Первое занятие онлайн курса по Java для начинающих. 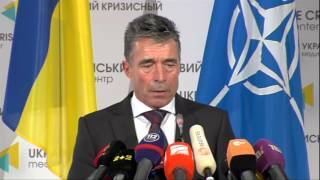 Questions and answers after the press point by NATO Secretary General Anders Fogh Rasmussen following his visit to Kiev - 07 August 2014. How to use Kiev-60 camera? The Dniper, Lavra Cathedral, Mother Motherland and Volodymyr the Baptiser, the Ukrainian house, Kreschatyk and footage of a drone crash as a bonus. Located at 50.4578, 30.5175 (Lat. / Lng. ), about 0 miles away. Located at 50.45, 30.5242 (Lat. / Lng. ), about 0 miles away. Located at 50.4589, 30.5181 (Lat. / Lng. ), about 0 miles away. European Square (Ukrainian: Європейська Площа, Yevropeys’ka Ploshcha) is a square situated in the Shevchenko Raion of Kiev, the capital of Ukraine. The European Square is located in what is known as the Old Town (Stare Misto) or the Upper Town. It is located at the north-eastern end of the Khreschatyk, the city's main thoroughfare. Number of other streets connect to the square such as Tryokhsvyatytelska Street, Volodymyrskyi Descent, and Hrushevsky Street. Located at 50.4522, 30.5275 (Lat. / Lng. ), about 0 miles away. The Kiev funicular serves the city of Kiev, connecting the historic Uppertown, and the lower commercial neighborhood of Podil through the steep hill overseeing the Dnieper River. Located at 50.4578, 30.5236 (Lat. / Lng. ), about 0 miles away. The Poshtova Square in Kiev, the capital of Ukraine, is one of the oldest historic squares of the city. Archeological finds are dated back to the 4th century. A crossing of several historic streets such as Volodymyrsky Descent, Borychiv Descent and Sahaydachny Street, the square is located at the Dnieper riverfront right next to the Kiev River Port. The square is served by the metro, the funicular, trams, and buses. Located at 50.4594, 30.525 (Lat. / Lng. ), about 0 miles away. Hotel Ukrayina is a three-star hotel located in central Kiev, the capital of Ukraine. The hotel was built in 1961 as the Hotel "Moscow" in a location which originally was occupied by Kiev's first skyscraper, the Ginzburg House. The construction of the hotel finished the architectural ensemble of Kiev's main street the Khreshchatyk which formed the post-war reconstruction of central Kiev. The hotel is the state-owned and belongs to the State Management of Affairs. Located at 50.4485, 30.5272 (Lat. / Lng. ), about 0 miles away. Khreshchatyk is a station on the Sviatoshynsko-Brovarska Line of the Kiev Metro. The station is named for the Khreshchatyk street, the most central street in Kiev. The station was opened in 1960 along with the first stage of the Metro. The station is pylon trivault (architects Yu. Tyahno and I. Maslenkov) that features ceramic Ukrainian ornaments framed by metallic grills on the central hall sides of the pylons. Located at 50.4472, 30.5228 (Lat. / Lng. ), about 1 miles away. The Kiev River Port (Ukrainian: Київський річковий порт; translit. Kyivskyi richkovyi port) is the main river port of Kiev, located on the right bank of the Dnieper River in Podil, historic and administrative raion of the city. Located at 50.4592, 30.5269 (Lat. / Lng. ), about 0 miles away. Borychiv Descent is a historic descent in the historical and merchant quarter of Kiev, the Podil (Podol) neighbourhood. It is located near the Poshtova Square. Its legendary name, Borichev Descent, is derived from either the neme of a wealthy Kievan who lived there at the turn of the 19th century, or from the word borych/biruch, which means a herald and customs officer serving the Kiev Prince in the Middle Ages. Located at 50.4588, 30.5233 (Lat. / Lng. ), about 0 miles away. The National Parliamentary Library of Ukraine is one of the national libraries of Ukraine, one of the largest libraries of the country. It was opened in 1866 as the city's public library. Main building of the library on 1, Mykhailo Hrushevsky Street on the European Square in the center of Kiev was built in 1911, by the architects Z. Kliave and A. Krivosheyev. Located at 50.4514, 30.5294 (Lat. / Lng. ), about 0 miles away. The Kiev Passage (Ukrainian: Київський Пасаж, Kyivs’kyi Pasazh; as in the French word Passage) is a building complex with a small, narrow street (passage) stretched through it. The street address of the building is Khreshchatyk, 15, city of Kiev. Located between two parallel streets Khreshchatyk and vulytsia Zankovetskoyi, the passage runs parallel to vulytsia Arkhitektora Horodetskoho. Located at 50.4478, 30.5244 (Lat. / Lng. ), about 0 miles away. Desna Raion is an administrative raion of the city of Kiev, the capital of Ukraine. It is located in the north-eastern part of the city on the Left Bank of the Dnieper River and is the most populous district of Kiev. It is also the second largest district with the total area of ca. 14.8 ha. Desnianskyi Raion mainly consists of two microdistricts – Troieschyna and Lisovyi – making it predominantly residential in nature. Located at 50.45, 30.5233 (Lat. / Lng. ), about 0 miles away. Dnipro Raion is an administrative raion of the city of Kiev, the capital of Ukraine. Maidan Nezalezhnosti is a station on Kiev Metro's Kurenivsko-Chervonoarmiyska Line. The station was opened on December 17, 1976, and is named after Kiev's Maidan Nezalezhnosti (Independence Square) on the Khreschatyk street. It was designed by N. Kolomiiets, I. Maslenkov, M. Syrkyn, and F. Zaremba. The station was formerly known as Ploscha Kalinina, but was renamed a year after its opening to Ploscha Zhovtnevoi revoliutsii (Ukrainian: Площа Жовтневої революції). Located at 50.45, 30.5244 (Lat. / Lng. ), about 0 miles away. Poshtova Ploshcha is a station on Kiev Metro's Kurenivsko-Chervonoarmiyska Line. The station was opened on December 17, 1976, and is named after Kiev's Poshtova Square (Post Square) near the Dnieper's embankment in the historic Podil neighbourhood. It was designed by A.S. Krushynskyi, T.A. Tselykovska, I.L. Maslenkov, and V.S. Bohdanovskyi. The station is located shallow underground and consists of a central hall with columns. Located at 50.4592, 30.525 (Lat. 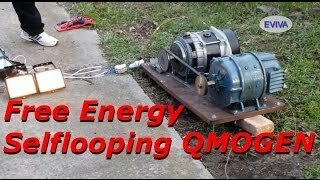 / Lng. ), about 0 miles away. Ukrainian House is a five-story multi-functional exhibition center at № 2 Khreshchatyk Street, European Square in Kiev (Kyiv), the capital of Ukraine. It was built originally to house the Lenin Museum to commemorate the 60th Anniversary of the USSR. It was opened in 1982 during the 60th Anniversary celebration of the USSR along with the People's Friendship Arch. Located at 50.4531, 30.5269 (Lat. / Lng. ), about 0 miles away. The National Philharmonic Society of Ukraine (Ukrainian: Національна Філармонія України), often referred to as Kiev Philharmonic and National Philharmonic, is a complex of two adjacent concert halls in the Khrestchaty Park in Kiev, Ukraine. The historic building founded in the end of the 19th century, standing at the end of Khreschatyk street near the European Square, has been a pride of the city ever since its creation. Located at 50.4533, 30.5283 (Lat. / Lng. ), about 0 miles away. The Kiev City Duma building housed Kiev's City Duma before World War II. The building was located on the then Dumska Square of the Khreschatyk street and stood in the centre of it. 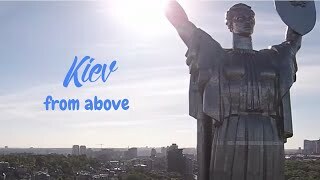 A statue of archangel Michael, the patron of Kiev, stood on the spire atop the building. After the Russian Revolution when the Soviets took power, the archangel was replaced with a five pointed star. During World War II, the building was heavily damaged during bombings of Kiev, and was not rebuilt in post-war years. Friendship of Nations Arch (Ukrainian: Арка Дружби Народів, Arka Druzhby Narodiv, literally 'friendship arch') dedicated to the unification of Russia and Ukraine, was constructed in Kiev, the capital of Ukraine. The arch was opened together with the All-Union Lenin Museum (today, Ukrainian House) on November 7, 1982 to commemorate the 60th Anniversary of the USSR and the celebration of the 1500th Anniversary of the Kiev city. Located at 50.4544, 30.53 (Lat. / Lng. ), about 0 miles away. The Ukrainian Registered Cossacks (URC) (Ukrainian: Українське реєстрове козацтво, Russian: Украинское реестровое казачество); is a public organization " registered by the Ministry of Justice of Ukraine 8 July 2002. The URC consists of nearly 70,000 cossacks. It has a hymn, flag, logo, insignia,awards and newspaper, "Ukraine of Cossacks". Located at 50.4529, 30.5202 (Lat. / Lng. ), about 0 miles away. Viche Maidan is a city square located in the center of Ivano-Frankivsk. Volodymyrska Hill or St. Volodymyr's Hill (Ukrainian: Володимирська гірка, "Volodymyrska hirka") is a large 10.6 hectares park located on the steep banks of the Dnipro River in central Kiev (Kyiv), the capital of Ukraine. The park was established in the mid-19th century, its name reflecting the statue of St. Volodymyr of Kiev which was erected in 1853 in the park. It has since become one of the symbols of Kiev, often depicted in paintings and photographic works of the city. Located at 50.4564, 30.5236 (Lat. / Lng. ), about 0 miles away. The InterContinental Kyiv is a hotel in the center of Kiev, Ukraine (Old Kyiv neighborhood). The 11-story hotel has 467 hotel rooms, and is operated by the InterContinental Hotels Group. The hotel is next to the Mykhailiv ploshcha (Michael's Square). There is an underground garage with a controlled access. Located at 50.4556, 30.5193 (Lat. / Lng. ), about 0 miles away. Central Union of Consumer Associations of Ukraine (Ukoopspilka) (Ukrainian: Центральна спілка споживчих товариств України) is a non-profit organization of Ukraine that serves as a representative and protects interests of consumer associations, societies and their members in respective state and international organizations. The Union is responsible for activities of cooperation movement members and development as well as promotion of cooperation ideas. Located at 50.4507, 30.5258 (Lat. / Lng. ), about 0 miles away. These districts belong to Kiev. These are some bigger and more relevant cities in the wider vivinity of Kiev. These are the most popular locations in Ukraine on Tripmondo.